Searching for a lavish and stunning new vacation locale that you perhaps may have overlooked? Yearning for a thrill or adventure of a lifetime? 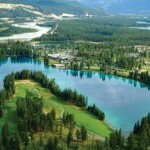 Then journey to majestic Western Canada, where from the natural splendor and bohemian exuberance of Vancouver to the boundless, picturesque beauty of Jasper and Banff, there lies an abundance of attractions just waiting to accommodate, enchant and be explored by adventurous jetsetters. 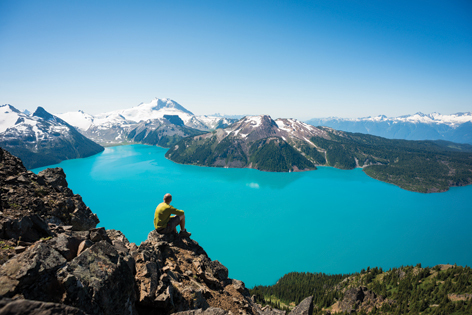 Although Vancouver is routinely hailed as the “best place on Earth to live,” it also makes a perfect place to visit, and the ideal starting point for your Canadian adventure. This lively metropolis is teeming with breathtaking views of snow-capped peaks and dense waterfront forests that juxtapose exquisitely with the city’s sleek glass towers and bustling nightlife. 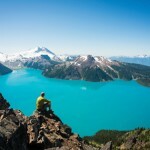 Vancouver is also a food-lovers utopia, with something to satiate virtually any palate. A “must try’ is Blue Water Cafe + Raw Bar, consistently rated as Vancouver’s top seafood restaurant. 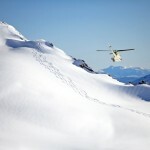 Vancouver is only a two-hour drive from the single most desirable ski location in all of North America – Whistler, BC. 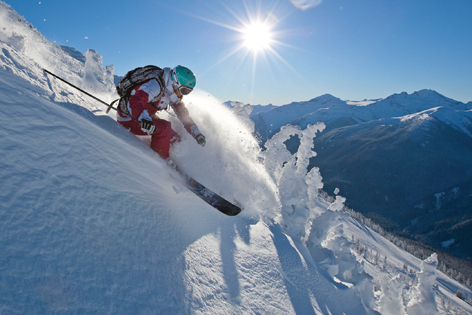 The epicenter of the 2010 Winter Olympics, it features two mountains (Whistler and Blackcomb) that offer over 200 runs, 12 alpine bowls, and three lift-accessed glaciers of flawless “corn snow” at your disposal. 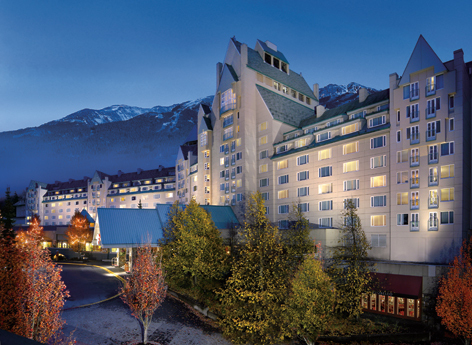 For accommodations, nothing exceeds the opulent Fairmont Chateau Whistler. Situated at the base of over 8,100 acres of radiant terrain, this incredible chalet-style resort allows you the luxury of skiing or snowboarding down the mountain and right into the lobby. With the only pool in town overlooking Mt. 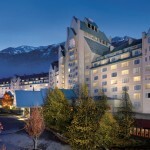 Blackcomb, the Chateau helps you savor all of the abundant beauty that Whistler has to offer. After a long day at the slopes, be sure to visit Araxi – an internationally-renowned farm-to-table restaurant in the heart of town where they serve only the freshest regional beef and seafood. 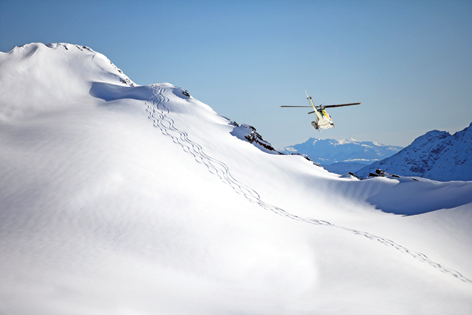 To elevate your skiing experience, check one item off of your bucket list and head to Mike Wiegele Helicopter Skiing Resort in beautiful Blue River, BC. With over 1.2 million acres of untouched powder snow, there is something for all skill levels. 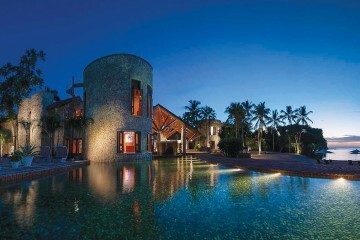 The resort features a private air strip, luxurious, handcrafted log chalets and world class dining. The unlimited vertical policy guarantees you the best skiing experience possible. With your body now thirsting for rejuvenation, travel into the splendid region of the Okanagan Valley and the world-renowned Sparkling Hill Resort. In constructing this masterpiece, Swarovski crystal designer Andreas Altmayer incorporated 3.5 million crystals into every facet of the architecture. These precisely-cut crystals emanate a vibrant glitter that transcends your entire stay at Sparkling Hill. While there, you can indulge in world class golf or a plethora of health experiences at KurSpa, including the world famous Cryotherapy Cold Sauna (-166 F). 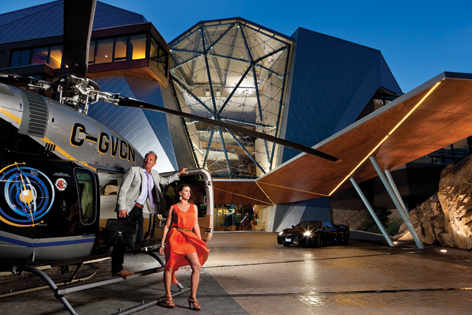 Or, you can book a once-in-a-lifetime “heli-wine” tour right from your front door and be whisked away to VIP wine tastings and a picnic lunch on your own secluded mountaintop. If you choose not to traverse the sumptuous Sparkling Hill, then you really must embark on a recently refurbished cabin for two aboard Canada’s premiere train service, the Canadian from VIA Rail. 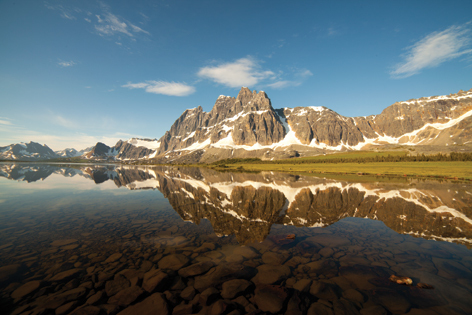 On your comfortable overnight jaunt, you’ll marvel at the magnificent views of the splendid Canadian Rockies and delight in the attentive service and fine dining. 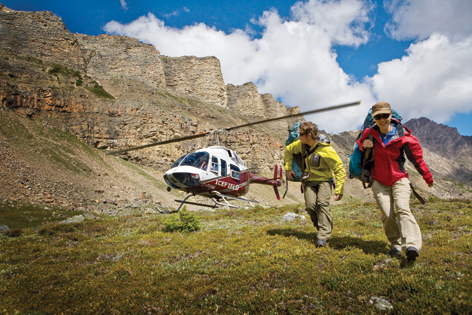 You’ll witness literally hundreds of miles of pristine, untouched wilderness as you wind your way to idyllic Jasper National Park. 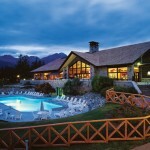 Over the years, the famed Jasper Park Lodge has housed both kings and queens. 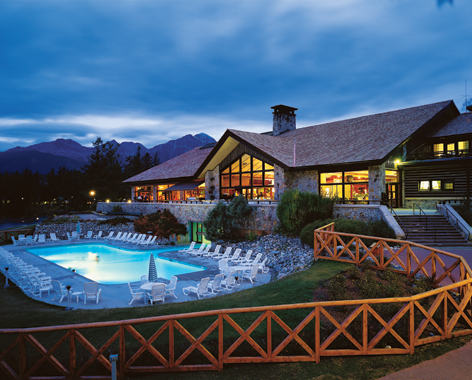 It features a full-service spa, shopping promenade and 441 rooms, including 56 secluded cabins spread out over nearly 700 pristine acres of untainted natural beauty. 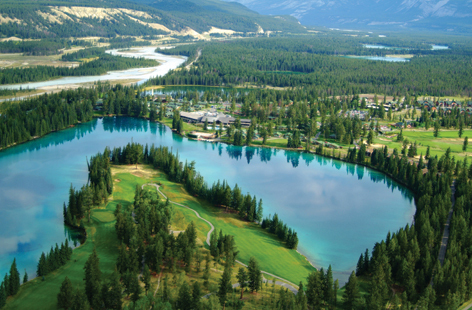 You can play Canada’s finest resort golf course designed by Stanley Thompson, and then grab a loved one and gaze up at Jasper’s incomparable views of the stars. 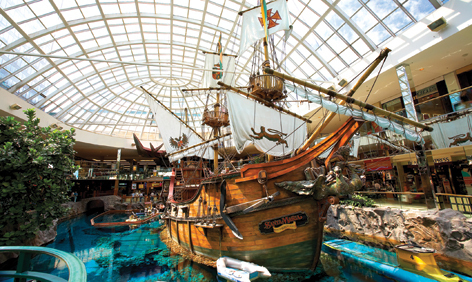 If, after marveling at the earthly majesty of Jasper, you feel the sudden urge to indulge in some shopping, take a short scenic trip to Edmonton, Alberta, home of the largest mall in North America – West Edmonton Mall. In addition to over 800 stores, this mammoth structure houses countless restaurants, an ice skating rink, indoor water park and an amusement park complete with a thrilling three-loop roller coaster. Conveniently located within the mall, the festive Fantasyland Hotel, with its themed rooms, makes accessing all of this a breeze. 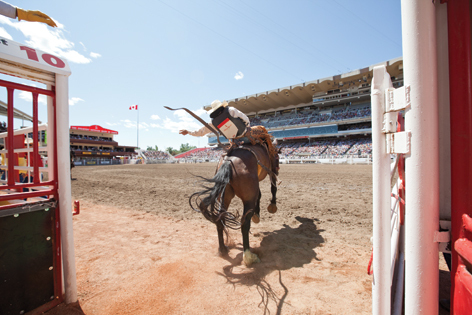 From Edmonton, it’s just a 45-minute flight to Calgary – host to the world-famous Calgary Stampede. 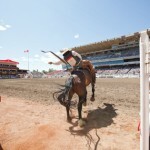 For the last 101 years, the Stampede has brought over a million visitors annually to watch the parade, rodeo and chuckwagon races. The Stampede is held in July, but year-round you can enjoy the rustic cowboy atmosphere of the streets, architecture and shops like the renowned Alberta Boot Company where you can grab a pair of the most authentic handmade cowboy boots on Earth. 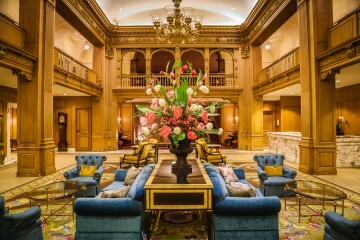 For accommodations, visit the modern Hotel Arts or the regal Fairmont Palliser. And if you’re feeling especially adventurous, you can attempt the fastest zipline in North America at WinSport Canada Olympic Park – where you can also brave a thrilling 60 mph ride in an actual bobsled piloted by a former Olympian. Calgary is only a short one-hour drive to one of the most beautiful places on Earth. 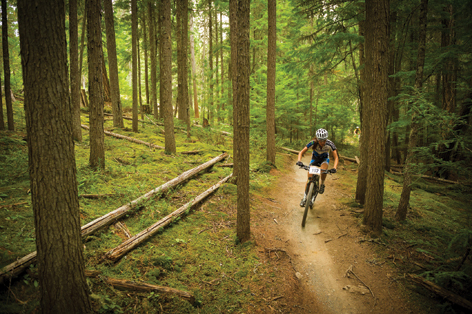 Surrounded by the unspoiled sublimity of the Canadian Rockies, the Delta Lodge at Kananaskis is the perfect gateway for hiking, biking and exploring this nature wonderland. 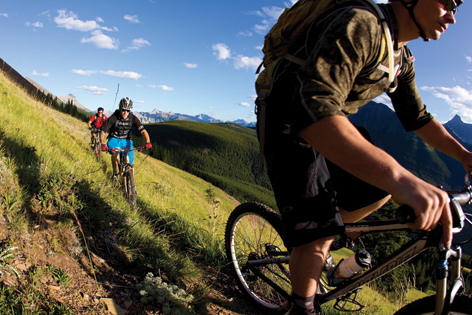 Rent a mountain bike from Kananaskis Outfitters and take a solo or guided journey through the picturesque trails. 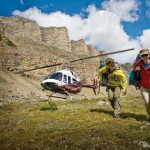 For a higher view of the Rockies, Kananaskis Heli Tours provides sweeping aerial excursions so breathtaking and romantic, it’s easy to see why they facilitate over 30 marriage proposals a year. 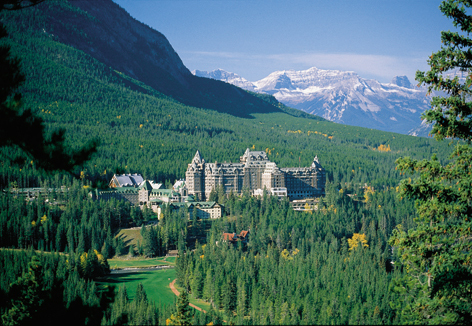 Less than an hour away rests the natural jewel of Alberta – the unspoiled wilderness of Banff National Park – and the legendary Fairmont Banff Springs Hotel. The latter, a palatial “Castle in the Rockies,” just celebrated its 125th birthday and has housed icons ranging from Marilyn Monroe to Winston Churchill. Nestled in a sea of stately pines, the hotel gives you a perfect 360 degree view of this serene land. Hot springs, gondola rides, golf, horseback riding, rafting and so much more await you in the summer – while world-class ski resorts are at your disposal in the wintertime. 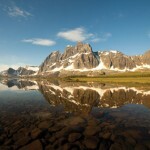 If that isn’t enough, you can also visit Banff’s many fine restaurants, shops and galleries. 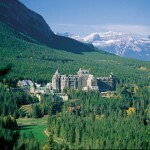 Just as in the Fairmont Jasper and Whistler, inside the Banff Springs you will discover Galleries, home to an exquisite array of regional Canadian Art. 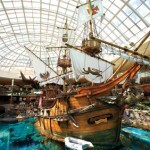 It’s one of the largest galleries in Western Canada and the perfect place to procure an everlasting memory. 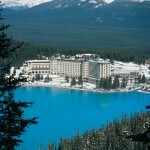 Finally, end your panoramic expedition just west of Banff at blissful Lake Louise – a crystalline body of immaculate mineral water that is truly an awesome sight to behold. 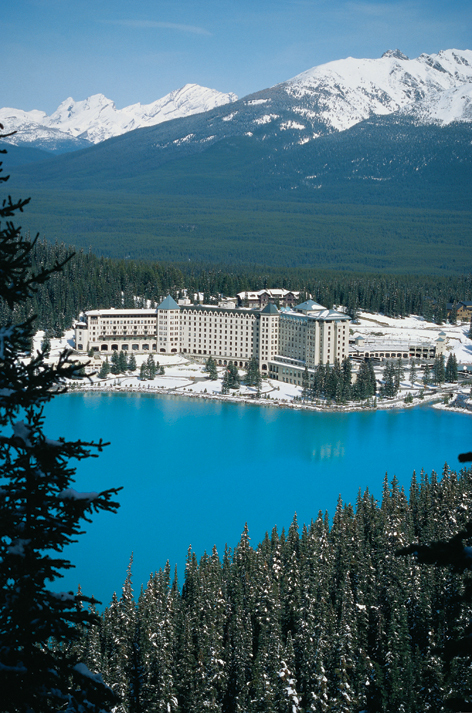 Enveloped by the snow-capped Rockies, this lake perfectly encapsulates the natural majesty of Banff National Park. 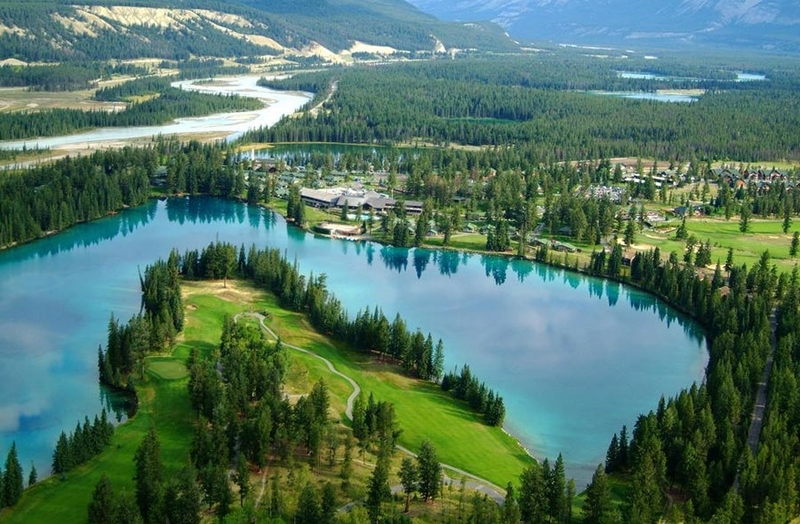 Eco tours can help you explore the surrounding area before you return to the Fairmont Chateau Lake Louise, situated right on the bank of this magnificent inland sea. From your balcony you can watch the sun disappear behind the serene, translucent lake and reflect upon the epic, ineffable beauty that is the Canadian Rockies.